A hash/experimental noise project involving MERZBOW on Side A, a wall of one side sound spreading from a moderate and discreet wave. The roar of noise is still clearly heard at that time, while on Side B (tracks 2 to 4) is recorded by Taiwanese noise artist Berserk (Jared Xu). Create samples from movie speech and news, and destroy speech material by hardware no-input and effector board processing. Every noise changes between the listener's ears, jumps and converts morphologically. 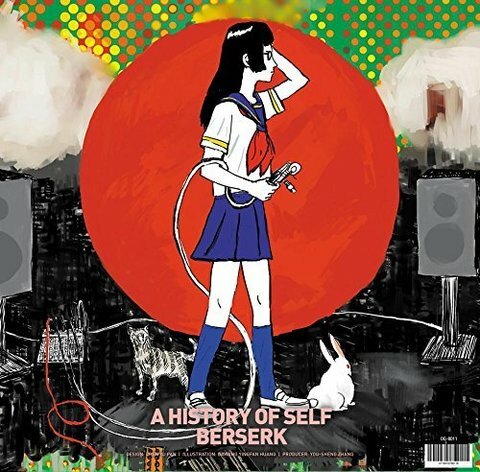 Berserk, also called Jared Xu, is now a 22-year-old harsh noise artist from Taiwan. His recordings include some clips from films and broadcasting programs and of course raw sound with powerful energy. Offensive sound line and wall are running through your left and right ears. You can see a guy with long hair shaking when he does live performance. He also released a solo debut, High School Sound Terrorist in 2016. 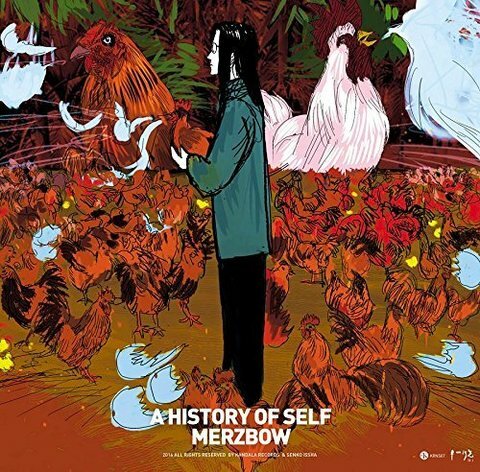 Writer and electronic noise player, known as Merzbow was born in Tokyo in 1956. Graduated from the Department of Literature, Faculty of Literature, Tamagawa University. Since 1979, the noise album and live performances have been published in the name of Merzbow, and together with the singer of the singer, the extraordinary stage band has created a sensational Japanese noise (Japanoise). The noise works are mainly influenced by the architectural form "Merzbau" of German 20th century architect Kurt Schwitters (1887-1948). The content is not only full of complex collages, but also the output is extremely large. It has been launched all over the world for more than 30 years. 300 albums and countless collections. In the first half of the 1980s, noise albums were released on many Western labels.